Attacks by a copycat killer called “the Trickster” send Joe and Barry to James Jesse, the original Trickster who has been incarcerated for 20 years. In the past, Harrison Wells comes face-to-face with a man who will change his life. MARK HAMILL ("STAR WARS") REPRISES HIS ROLE AS THE TRICKSTER - A copycat killer who goes by the name "The Trickster" (guest star Devon Graye) starts setting off bombs in Central City. 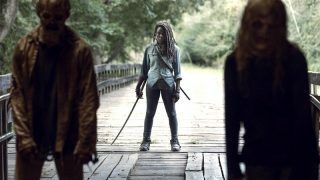 In order to stop the villain, Barry (Grant Gustin) and Joe (Jesse L. Martin) meet with the original Trickster, a criminal mastermind named James Jesse (guest star Mark Hamill), who has been imprisoned for 20 years. 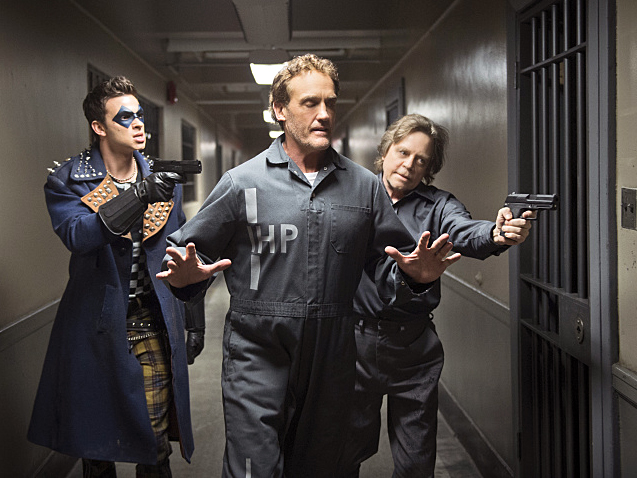 Things quickly go from bad to worse when the Tricksters unite and take Henry (John Wesley Shipp) prisoner. Meanwhile, Iris (Candice Patton) asks Eddie (Rick Cosnett) for help with a case, and flashbacks show how Harrison Wells (Tom Cavanagh) came up with the idea for the particle accelerator. Ralph Hemecker directed the episode written by Andrew Kreisberg (#117).